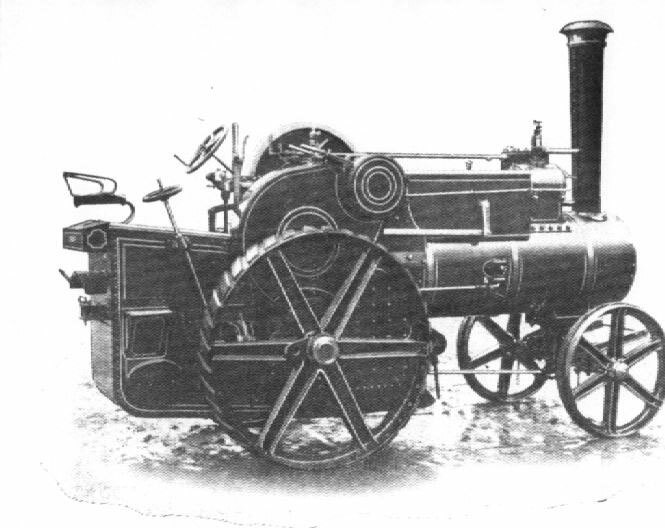 The Little Samson was marketed as a 4 NHP steam tractor. 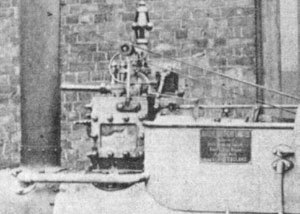 They had a single cylinder 6" diameter by 9" stroke, although one engine which was exported to Norway had a cylinder 6.5" in diameter. 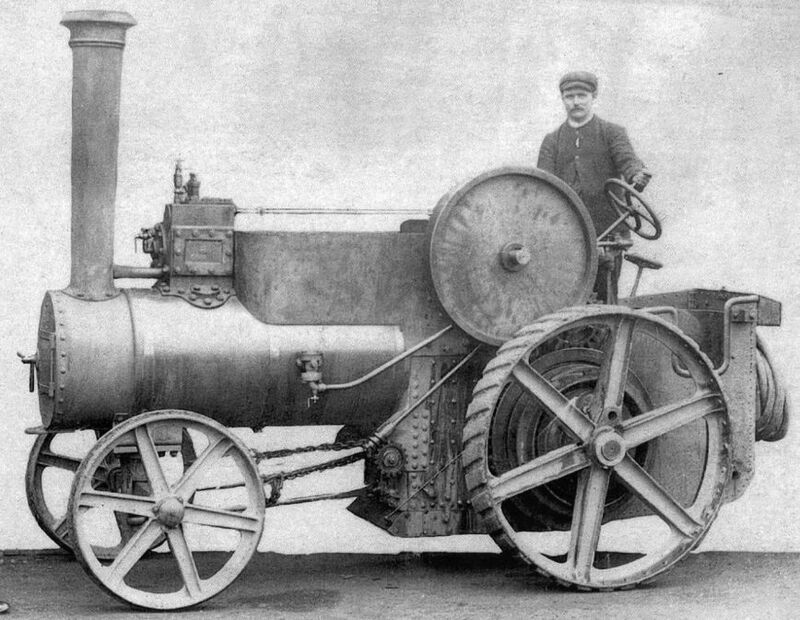 Little Samson engines were strangely never integrated with the main Savage works register. Presumably they had a register of their own, but if they did it has long since been mislaid. 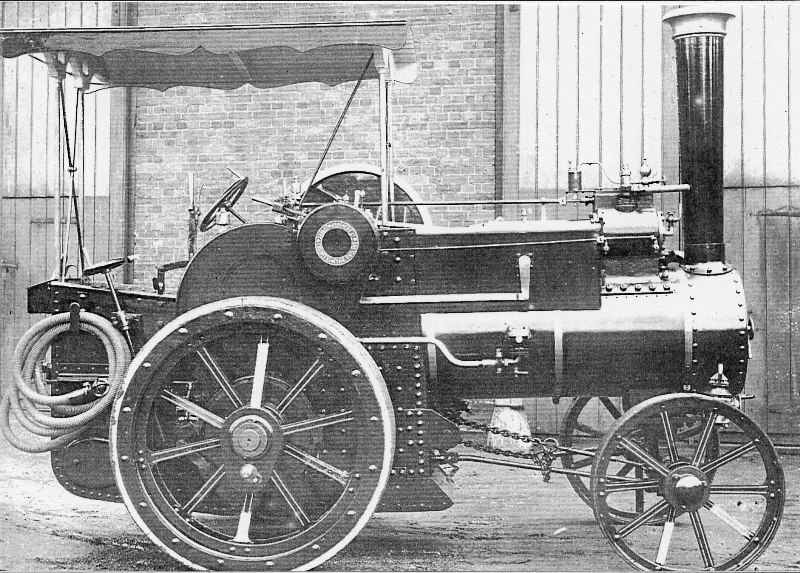 Considered opinion is that 9 Little Samson tractors were built, this number being deduced from the boiler shop's records, portions of which survive. 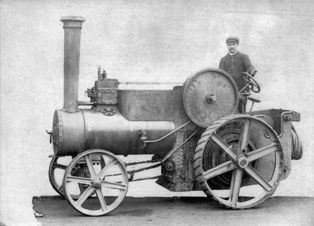 J. Howard, Savages' foreman recalled 'there were about ten Little Samsons built, about three for the showmen and others sold around and about. 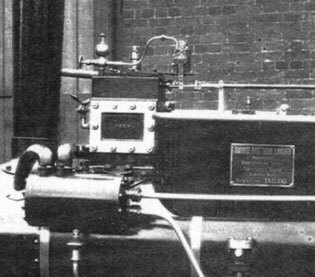 One was left over and was sold by auction with six steam wagons about 1912'. Savages' strong connections with the show people makes it highly likely that Little Samsons were employed travelling the fairs. At least one Little Samson certainly was sold to a showman. 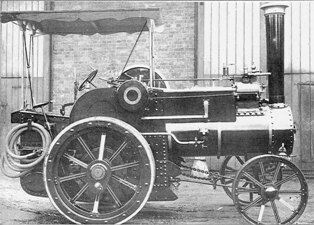 A 1910 blue print has pencilled notes on it referring to alterations for an engine destined to be sold to showman H. Studt. If any Little Samsons were fitted to full showman's specification, i.e. with full length canopies and dynamos, is not known. However the half cab blue print specifies brass tubing to be fitted on the canopy support stays, a very unlikely addition for a normal tractor. The engine with cast wheels in the works photograph left still has the steering chains to be fitted and a bracket has been fitted to the front axle to allow the engine to be moved. Under the engine is what looks like wet mud. There seems to have been two different patterns of cylinder block used. Most of the cylinder blocks appeared to only have one safety valve and no provision for a governor. The safety valve exhausts via a tube in to the chimney. 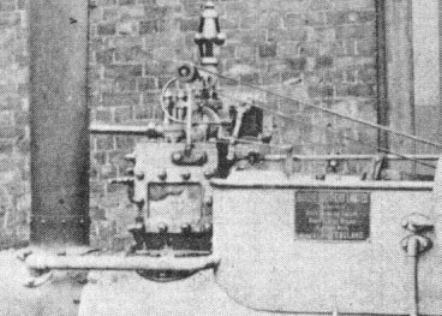 The cylinder block to which the model drawings relate to has twin safety valves are fitted using a 'Y' shaped casting. Provision for a governor supports the option of constructors building to a full showman's specification. Fortunately the blue print refers to the block with twin safety valves and governor and this was used to prepare the model drawings. This is a very early Little Samson with cast wheels. there are a number of differances, for example the one piece chimney & base. The Little Samson with steel spokes and cast hubs. A host of other minor differences are also worth noting. These differences have been found helpful in trying to determine from old photographs how many Little Samson engines there might have been. Steering wheels were either flat or dished. The steering wheel chosen for the model is the flat curved spoke variety. Front lamp brackets could either be at the top of the smokebox, half way down the smokebox, or mounted on the fore carriage. There were several different driver's seat designs, that one on the cast wheels option being particularly stylish. Most engines had the round name ring on the gear casing and the large works plate on the motion cover. Less popular seemed to be the valve chest cover name plate seen. All these name plates are available to the modeller.